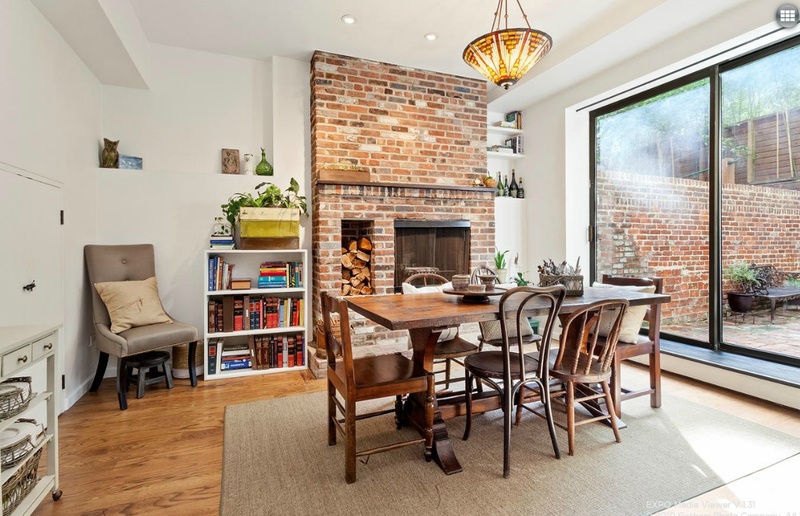 This apartment comes from the West Village co-op building 838 Greenwich Street, but it looks like it could be a townhouse. 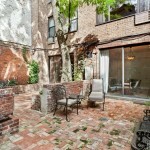 That’s because it’s a triplex–rare for a co-op–with seven rooms total, including two bedrooms and two bathrooms. 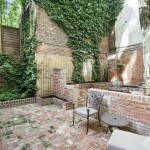 The space even comes with its own private garden, and plenty of exposed brick to go around. 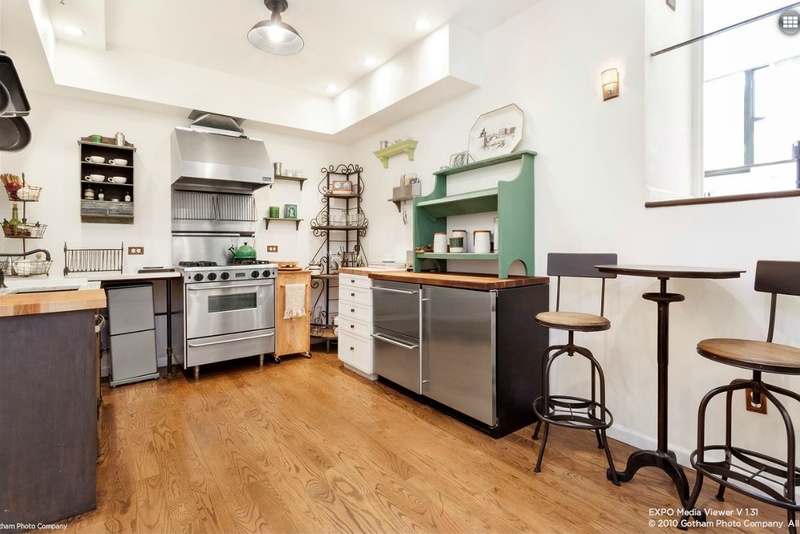 The asking price for all that co-op space in one of the most charming neighborhoods on Manhattan is $4.15 million. At the entrance of the apartment, you’re greeted by the kitchen, laundry room and bathrooms. 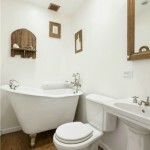 (One of those bathrooms comes with a cast-iron claw-foot bathtub.) 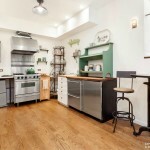 This floor also has many closets and ample storage space, plus enough room for a two-person table in the kitchen. 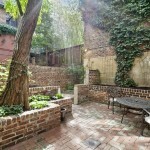 Moving up to the second floor–the garden level–there’s a high ceiling, full dining room and a separate living room. 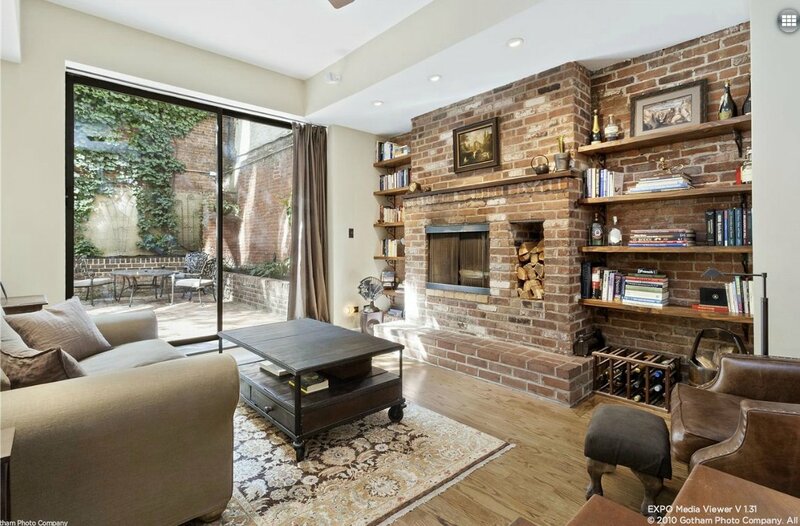 You’ve got a wood-burning fireplace and exposed brick in both rooms, as well as custom built-in shelving in the living room. From here, sliding glass doors in both the living and dining rooms open onto your backyard space. 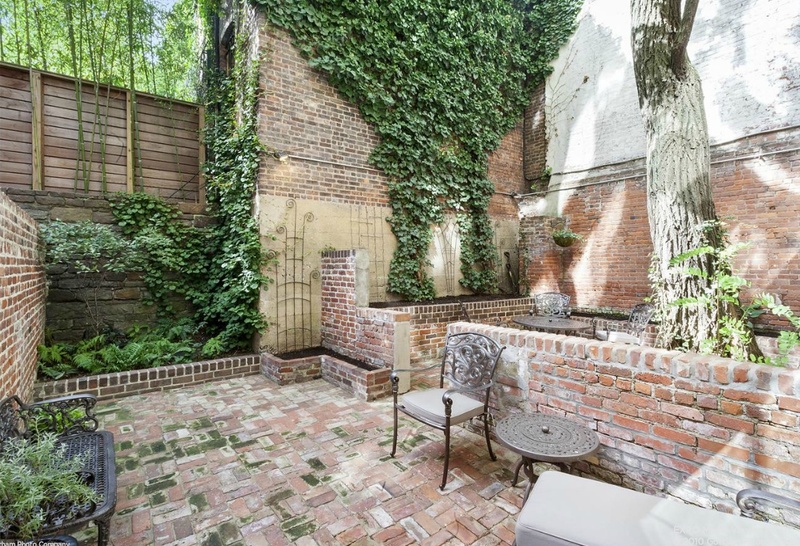 The backyard is huge at 560 square feet, outfitted with landscaped beds. 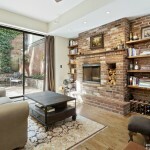 We love the brick walls, which create different areas for seating. Finally, on the upper level there are two bedrooms, both with big windows that look down into the garden and custom closets. 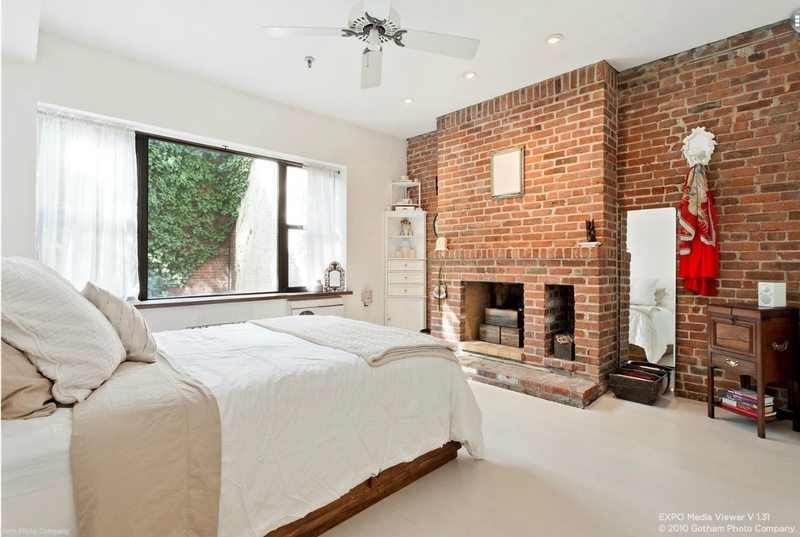 The master bedroom has a wood-burning fireplace and, of course, more exposed brick! 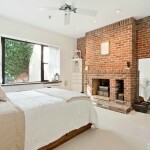 The second bedroom is being used by the current owners as an office. 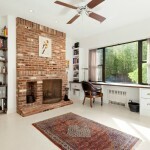 Have you ever seen so many brick fireplaces in one apartment? 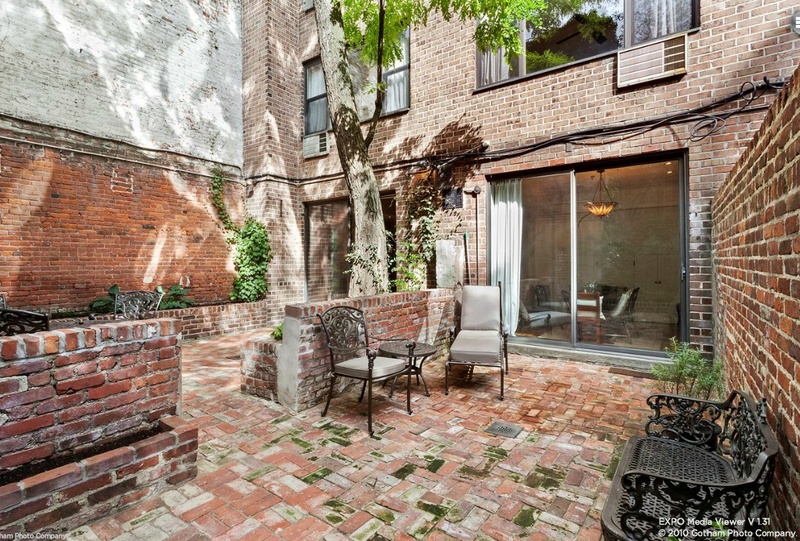 Overall, this is a good apartment for someone who appreciates townhouse living–which means living on three different floors instead of one. 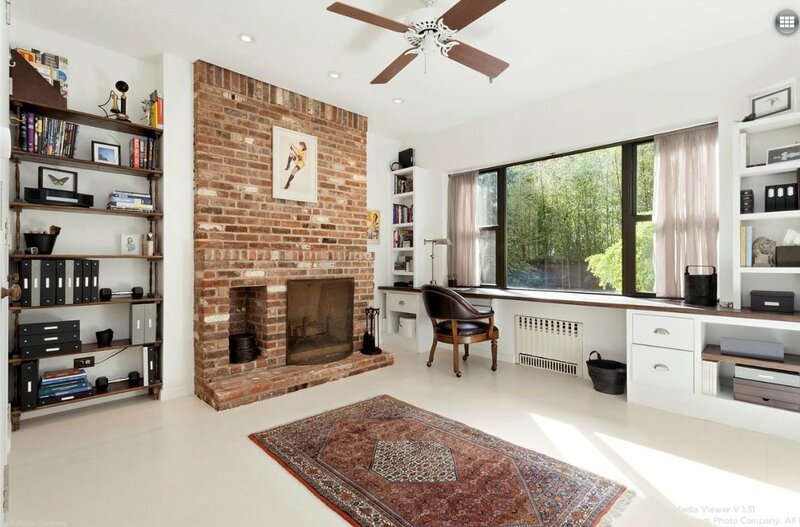 And although $4.15 million is no bargain, it’s still cheaper than what you’ll pay for a real townhouse in the West Village.